Moms have one of the most important jobs out there, and it’s no secret that being Superwoman requires wearing many different hats—and outfits. No two days are alike, which is why we’re sharing three unique looks that range from laid-back to dressed-up. Scroll on for some serious outfit inspiration. From yoga class to a full day of running errands, this look is all about functionality. Fitted joggers and a brightly colored tank feel fresh, while a white denim jacket brings it all together. 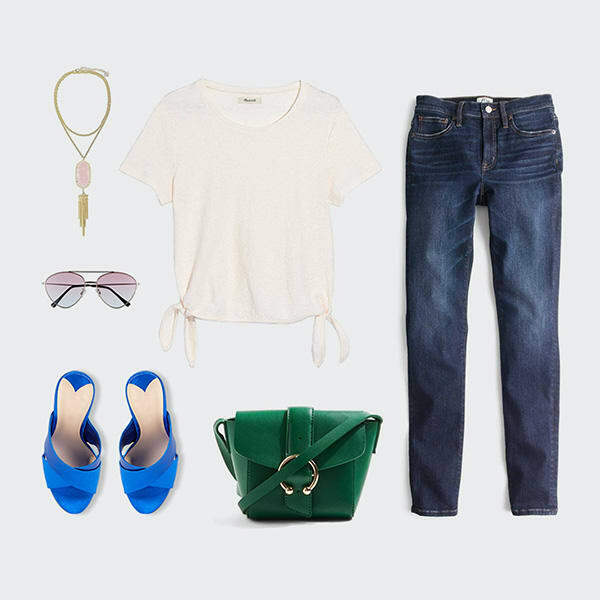 This ensemble combines balanced proportions and chic details, making it ideal for wherever your to-do list takes you. Moms always go above and beyond, it’s a fact. So for days you want to look like you spent a lot more time getting dressed than you actually did, enlist the help of elevated basics that go the extra mile. Dark wash denim feel vintage yet current, especially when paired with a modern top. A look that is as sweet as Mom, we can’t get enough of a classic pleated midi and poplin blouse. 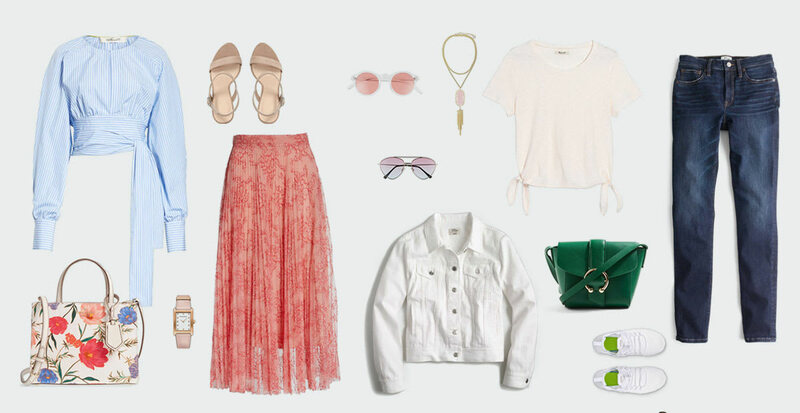 Soft hues, feminine prints, and bold accessories create a timeless ensemble that is appropriate for special days, nights, and anything in between.